roots to rot, damage fish health, and encourage algae to flourish. However, anaerobic conditions also allow nutrients to become more readily available to plants by preventing the binding of nutrients with oxygen molecules. As the bacteria use up the nitrates, nitrogen is released, which is also an important plant nutrient. A mixture of aerobic and anaerobic substrate zones can provide the benefits of both conditions. As long as the substrate is not too fine and compact and/or substrate heating is employed, the combination of a slow-moving current and the release of oxygen by plant roots should prevent the majority of the substrate from becoming anaerobic. Anaerobic patches will then appear in denser areas of substrate without plant roots. Because these patches are small, they will not produce large amounts of toxic gases yet still allow nutrients to be produced and available to the plants. So a low-oxygen substrate is often best, where anaerobic conditions are allowed to develop in some places but not in others. Oxygen released by plant roots keeps the substrate around the root aerobic. Hydrogen sulphide produced by bacterial breakdown of organic material. Nitrogen gas released by the action of denitrifying bacteria, which obtain oxygen from nitrites and nitrates. Toxic substances, such as hydrogen sulphide, can damage plant roots. 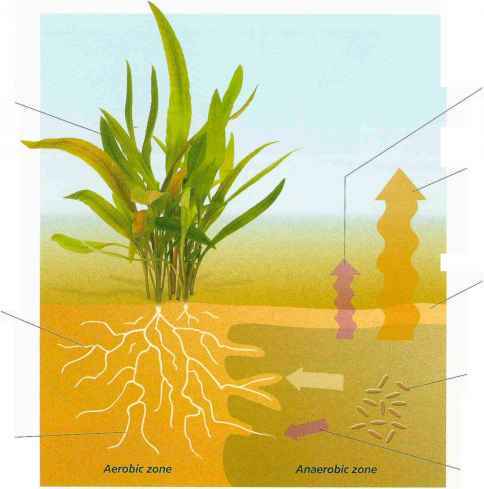 Plants will extend their roots into both aerobic and anaerobic substrate. Bacteria in the anaerobic area break down nutrient bonds, allowing nutrients to be easily assimilated by plants. At the surface, the substrate is aerobic, due to close contact with the oxygen-containing aquarium water. Oxygen is taken in (as well as produced during photosynthesis) by the plant's leaves and transported down to the root system. Above: Finding a good source of healthy plants is vital. The plants in this aquatic outlet are kept under strong lighting and well presented. The tanks are kept clean and tidy. Left: The dealer will pack the plants in plastic bags with plenty of air to provide cushioning and prevent damage. 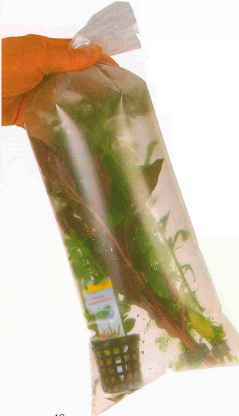 The bags are tied to retain moisture, although the plants do not need to be submerged in water. Right: You can buy aquarium plants by mail order. 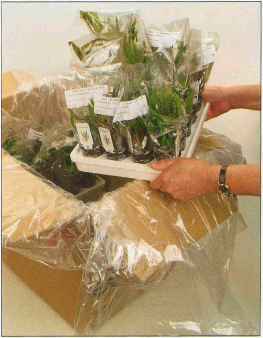 They should arrive as here, with the plants in plastic sleeves and slotted into a tray to keep them separate and stable. Newspaper laid over the top of the outer plastic bag helps to insulate them from temperature variations. Finding a reliable source of healthy plants is vital, especially when you introduce the first plants into the aquarium. 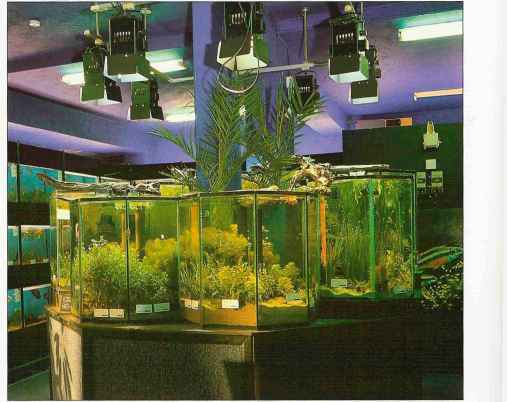 Only a small selection of the large variety of aquarium plants may be available from one dealer, so to obtain all the species you require, you may need to locate several suppliers. Choosing different plants and estimating the quantities required takes careful thought and planning. The overall display should be the result of a buildup of plants that gradually become established. They need not all be introduced at the same time; indeed, there are advantages to taking a staggered approach (see page 50). Identifying healthy specimens is relatively easy and also important, as healthy plants are better able to survive transportation, establish more quickly, and live longer once established. Why aerobic conditions are important in a fish tank? Is aerobic bacteria good for aquatic plants? Which substrate provided “better” growth conditions for the aerobic? 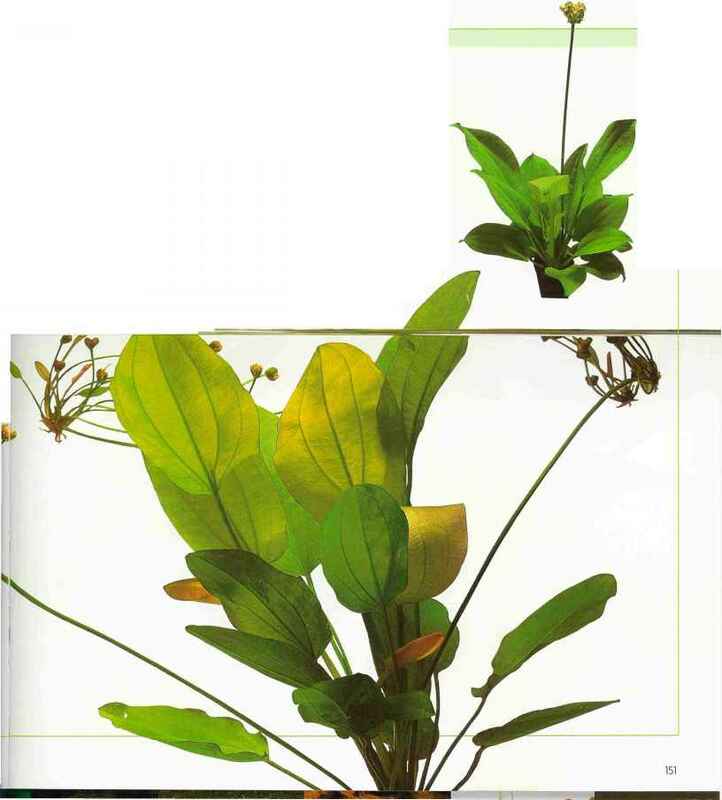 What are the condition required for plant in the aquarium? How to grow anaerobic bacteria reef aquarium? 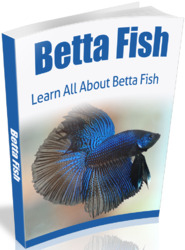 How aerobic bacteria is good in saltwater aquarium?